With over 2 hours of 'swinging classics' this highly successful show played to over 250,000 people in its residency at the Blackpool Tower during 2004 ! A superb and fast moving show featuring TONY BENEDICT and his favorite guest singers, plus The Greg Francis Orchestra – live on stage ! More than just the ‘RAT PACK’ performed in Las Vegas, and this exciting new show takes you to an era when BRITISH stars such as TOM JONES, SHIRLEY BASSEY, ENGLEBERT HUMPERDINCK and MATT MONRO were regular performers on the ‘strip’, and features as well, the music of the American stars – BARRY MANILOW, BOBBY DARIN, DORIS DAY, NAT KING COLE, PEGGY LEE, ANDY WILLIAMS, FRANK SINATRA and his Rat Pack etc. This exciting new show for dedicated fans of Bobby Darin, traces his career from the early Rock’n Roll days, right through his Country & Western era, to his Swinging Big Band and Orchestral recordings. Songs include 'Beyond the Sea', 'Dream Lover', ' Lazy River', 'Mack the Knife', 'Clementine', and many many more. The music of Glenn Miller is surely the most instantly recognisable sound in modern music. 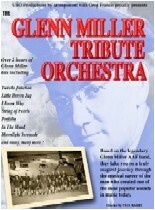 The world famous Glenn Miller Tribute Orchestra consist of young professional musicians, dressed in authentic full GI uniform, and a first rate and highly knowledgeable front man, they have produced a show which is truly spectacular. Always in demand for theme'd nights,this wonderful young vibrant orchestra has captured the hearts and minds of not only the older generation who remember how it was, but also of the younger generation who find jiving and jitterbugging - and the music, a welcome change to what's on offer these days. The Nelson Riddle Tribute Orchestra was formed specifically to accompany the Kings of Swing and Bobby darin Songbook shows. However, it has also found it's own place as a superb orchestra able to offer itself as an accompaniment to any high quality singer. It has recently performed on 2 occasions with British singer JOE LONGTHORNE, and is scheduled to perform a series of nationwide tour dates with Joe during 2006. 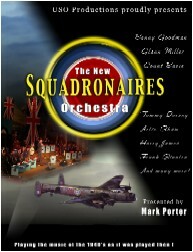 The Greg Francis Orchestra and singers has performed as the Blackpool Tower Big Band. It is capable of playing a wide mixture of music (even 1940's styles) from mainly the 1950's sounds of Ted Heath through the popular sounds of Bert Kaempfert, Henry Mancini and many more, and not forgetting the popular sounds of James Last. The orchestra plays the widest range of James Last music, right from his first releases up to his later party style music.